There are plenty of trekking options based on your budget and physical strength. From easy treks for the first time trekkers, moderate treks for those with some experience and strenuous treks for the seasoned ones. 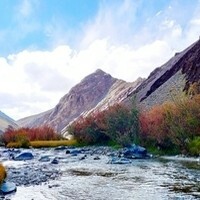 It can also vary from a single day trek to a month long trek. Some of the treks include Markha Valley Trek, Lamayuru to Chilling Trek,Tsomoriri to Kibber Trek, Lamayuru to Padum Trek, Markha Valley with Stok Kangri Trek and others. There are also some treks which has both camping and homestay available such as Spituk to Stok Trek andZingchen to Chilling Trek. 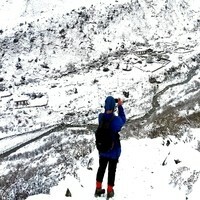 Markha Valley Trek has been, one of the most favorite treks among trekkers for a long time because of beautiful valley of Markha overshadowed by Kanyatse and other groups of Peaks. 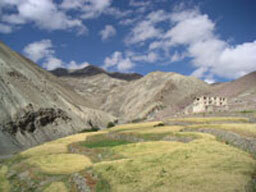 The numerous small villages, shepherds camps and passes are main feature of this trek. The trek begins from Spituk monastery or Stok village passing through Stok La and Gandala Pass, which takes you across Markha valley. 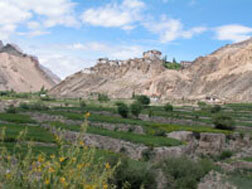 At last it crosses Kongmaru Pass and finishes wonderful trek at the famous Hemis monastery. There are so many exciting trekking adventures waiting for you to explore.